Smoking is a harmful habit and a hard one to leave! In fact, it is one of the major reasons for avertible deaths in the United States. People dealing with mental illness usually turn towards cigarettes as it is considered as the simplest way to avoid depression and anxiety. If you struggle with an addiction to Nicotine, you are not alone. The first thing that you must do in order to quit smoking is that you must make up your mind to cut down the amount of nicotine consumption. If at all you find it difficult, you always have other alternatives to look out for! 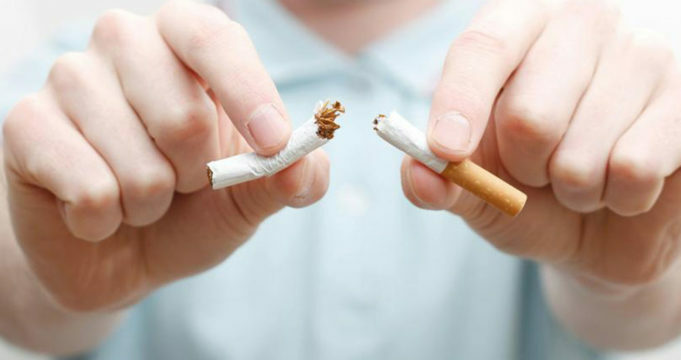 The process of smoking cessation can be more effective and the results can be seen in a very short period of time if combined with the cessation methods like counseling, NRT, anti-depressant medications, behavioral training, group therapy, hypnosis etc. Nicotine addiction treatment programs last for 7-15 days and are provided at community health centers and at specialized smoking cessation clinics. Rehab for nicotine treatment is expensive. You can either opt for outpatient programs (visiting the clinics) or residential programs (24/7 treatment). The process of picking a rehab facility for alcoholism, drug addiction or behavioral addiction issues is difficult as most of the facilities employ similar treatment models. The Nicotine withdrawal effect varies from smoker to smoker. Knowing some of the symptoms in advance may help you quit. Symptoms include craving for cigarettes, irritability, feeling hungry, and mood swings. You need not worry about weight gain after you quit smoking if you indulge yourself in various activities like exercise, swimming etc. and by following a proper diet. It is better if you can stay away from alcohol for a few weeks after quitting. Alcohol acts like a trigger and you might find yourself smoking again! Some people smoke to deal with stress. Quitting smoking can be even more stressful. Bad moods or mental illness can induce smoking. Cravings and nicotine withdrawal can affect your mood and make you feel sad, irritable or anxious. Quit smoking for better health! Help yourself or someone you love overcome tobacco addiction.